Software is compatible with Windows Operating System 10, 8, 7, Vista etc. Outlook for Mac 2016 and 2011 stores entire data into .olm file format. 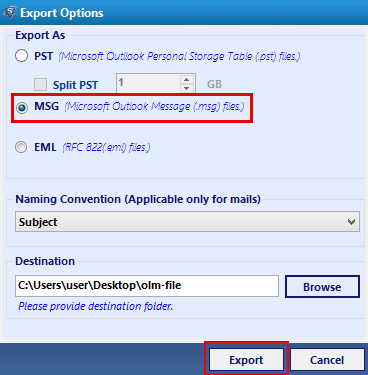 User can export complete olm file data into .msg format by using this converter tool. The software easily converts corrupted and inaccessible olm files as well. The software first scans complete olm file and saves scan report into temporary folder to avoid rescanning. After scanning damaged and inaccessible mac outlook olm file software list entire emails with their attachments. After successful scanning the olm to msg converter tool provides preview option. In this user can view entire data into the preview pane. 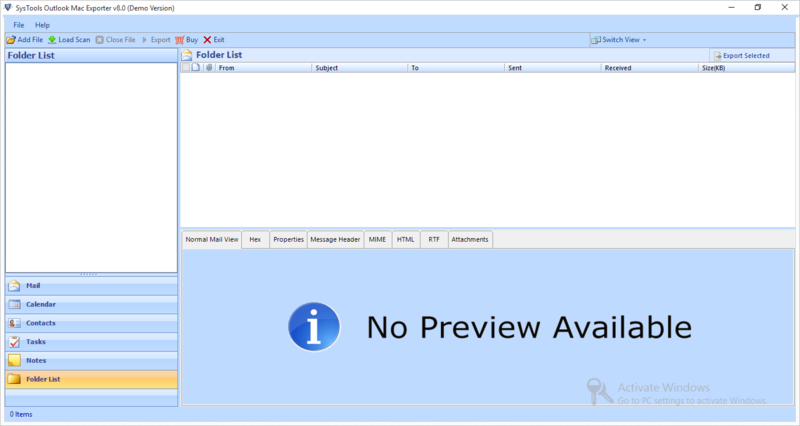 View emails with their attributes and attachments in the software window GUI. 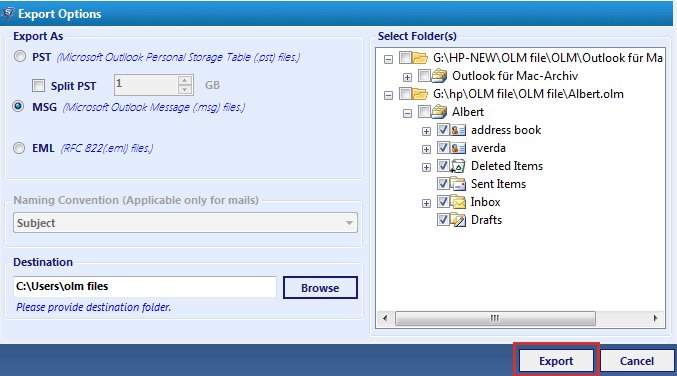 After previewing scanned olm file data software enable user to select required emails and attachments. After selecting emails export the olm file data to msg format and software will include only selected emails for conversion. 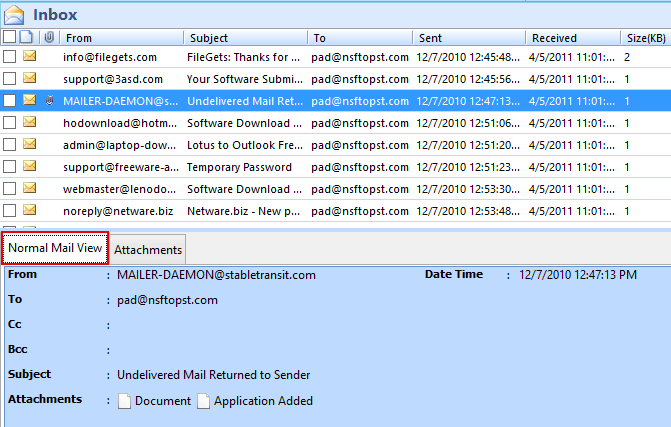 While exchanging emails using mac outlook 2011 or mac outlook 2016 user also send and receive attachments. So the software easily export all attachments like pdf, documents and images into windows msg format easily. OLM to MSG converter enables user to switch from vertical view to horizontal view during the conversion process. User can shift from one view to another according to their requirement by simply clicking on Horizontal or Vertical view. Folder structure in the resultant msg file will be same as in the source olm file. The olm to msg converter tool maintains the folder hierarchy in the resultant file. So that user can easily find the required file by exploring folders. After the completion of conversion process the mac outlook olm file to msg format converter tool generates conversion report and save into .csv format. It includes list of all selected mailboxes and exported files. Does the software over right duplicate files or renames? 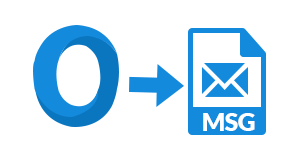 The olm to msg converter tool renames duplicate files before performing conversion. Does the software convert encrypted olm files? Yes, the mac outlook 2011 olm file converter software converts encrypted, corrupted and password protected olm file into msg format easily. Can I add more than one file for conversion? Yes, The user can add multiple olm files to the software easily. Also it enable user to add complete folder for conversion. Is there any olm file size limit for conversion? No, User can add any size olm file for conversion and the software will convert all added files to msg format. 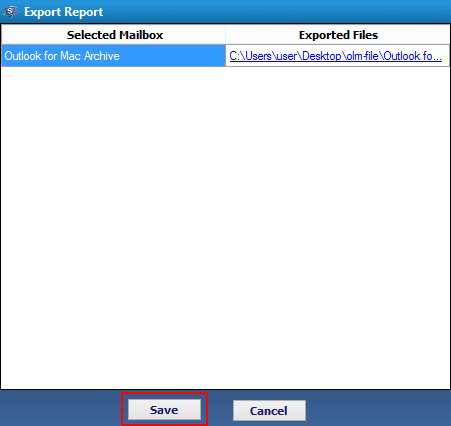 Does the software support both Mac outlook 2011 and 2016 olm file conversion? Yes, The software supports both mac outlook 2011 and mac outlook 2016 olm file conversion to msg format. Launch the software and Click on Add button from the main menu bar. Press down the Browse button to fetch .olm file file. Select the file from your host machine and click on Open. Now click on Add button on software pop-up window. Now software starts with the scanning process of Mac olm file. The software will provide an option to save scanned OLM files within the software. If you want to save it then click on Yes else No. Now you will see all the mails of Outlook file on software window. The software gives you two view options Normal Mail View and Attachments View select one according to requirement. User can also switch the screen of software from Horizontal to Vertical or vice versa by using Switch View Option. To select single file from scanned olm file Right Click on the file and hit on the Export option. 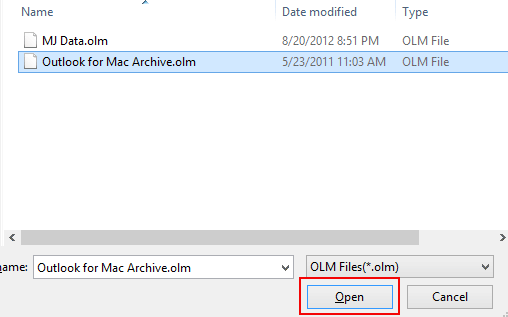 For complete olm folder conversion select folder and hit on the Export button from menu bar. Select the MSG format radio button from the list and click on Export button. Here user can apply naming convention » Brows Destination and at the end click on Export button. After the whole process the software will create an exportation process report in.csv format. "Few days before I need to export some selected emails from mac outlook 2011 olm file into msg format. So I was searching for olm to msg converter that facilitate me to export selected emails only. I used this olm to msg converter and easily migrated all required emails to windows msg format. Thanks to the software development team!!" "Converting complete olm folder data into msg format become easy for me. First I downloaded the free demo version and analysed working of the software. Then paid little amount for this amazing utility. It easily converted entire data into msg format, and also provided many features like preview scanned file, selected file conversion, naming convention. Thanks to the technical support team for their tremendous help!!"